How much land area does it take to support your lifestyle? 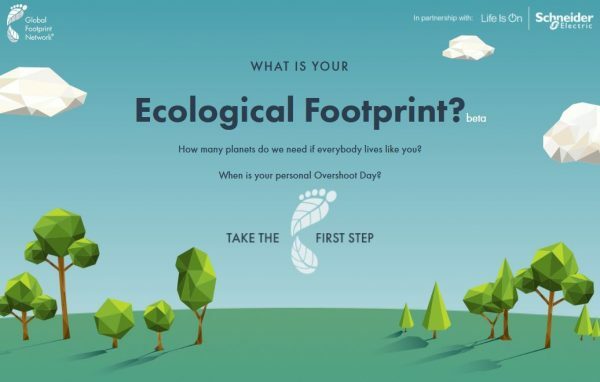 Take this quiz to find out your Ecological Footprint, discover your biggest areas of resource consumption, and learn what you can do to tread more lightly on the earth. Select your location on the map below to start taking the Footprint Calculator Quiz. We recommend using a computer or laptop because the calculator requires Flash animation that is unavailable on some tablets and smart phones. Are you a student or educator using our calculator? If so, please share your experience using the calculator by emailing media@footprintnetwork.org . We are collecting stories for a campaign to build a mobile app version of the calculator. If you have the means to support our efforts to update our calculator to newer technology, please consider making a donation to support this sizable project. If you are interested in collaborating on efforts to build new version of calculator, please email us via media@footprintnetwork.org.